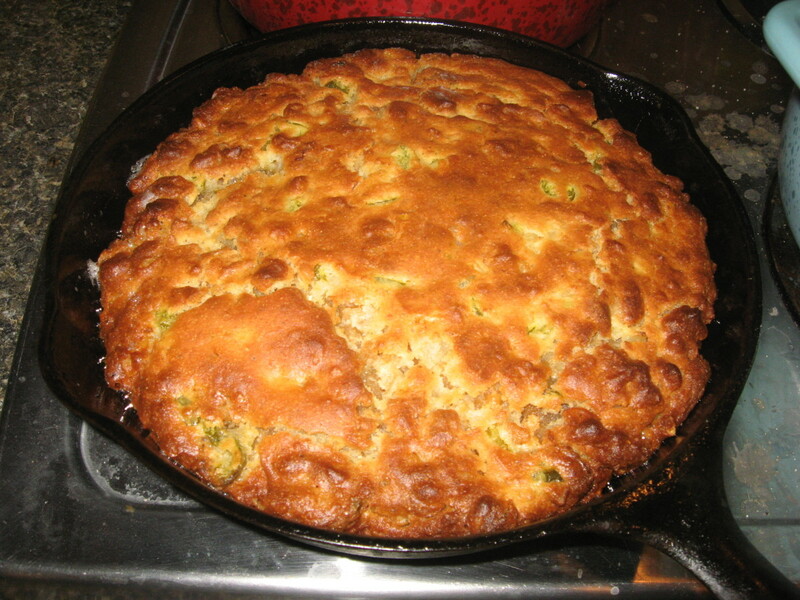 Cornbread dressing fresh out of the oven. Delicious! I've decided to publish my first recipe. I like to cook, especially baking. 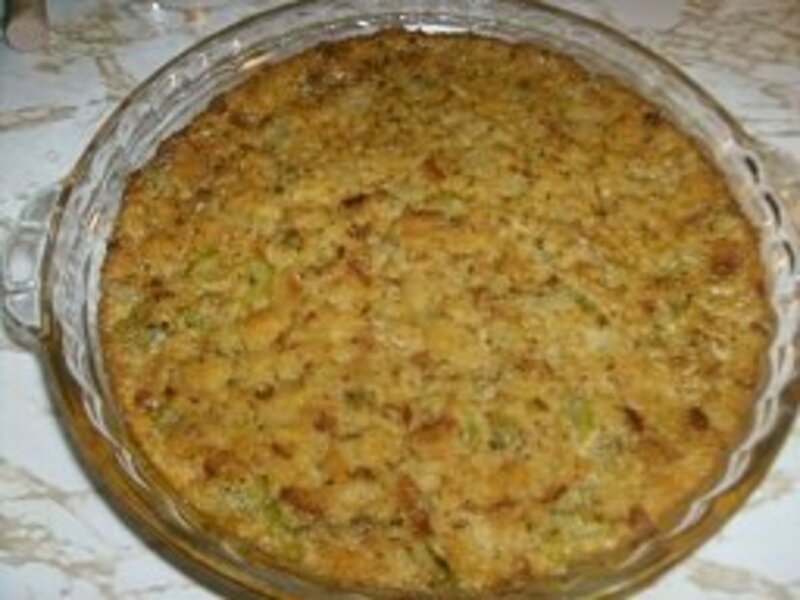 One of my favorite dishes is cornbread dressing, or dressin' as we like to say it in the South. I can eat dressin' anytime of year, and it's always a hit at family functions. In my opinion, this dish will go well with collard greens, black-eyed peas, and a big glass of sweet tea! 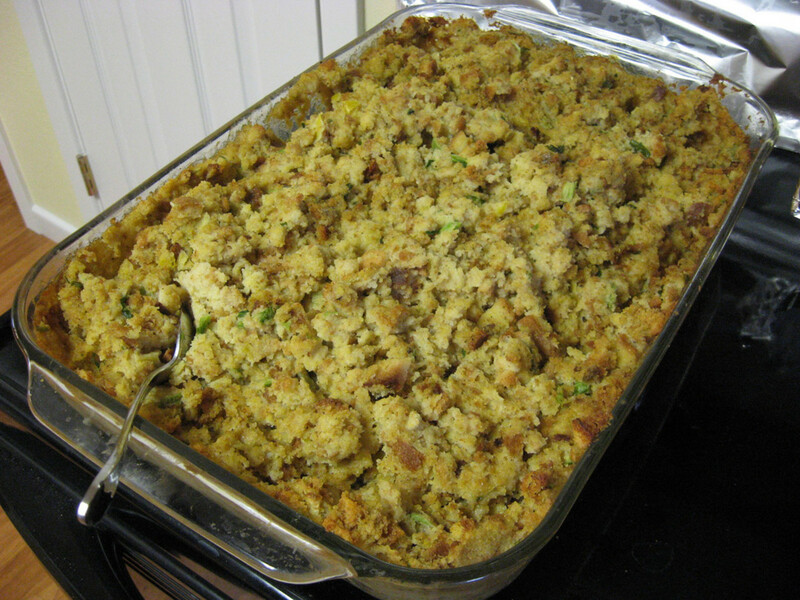 I love this cornbread dressing recipe because of the dominate rubbed-sage flavor. The parsley flakes and thyme also make this dressing a savory dish that will keep you going back for seconds! I recommend making the dressing a day before you want to eat it so that the flavors develop better. I rarely freeze my food, so I wouldn't know if the cornbread dressing freezes well. 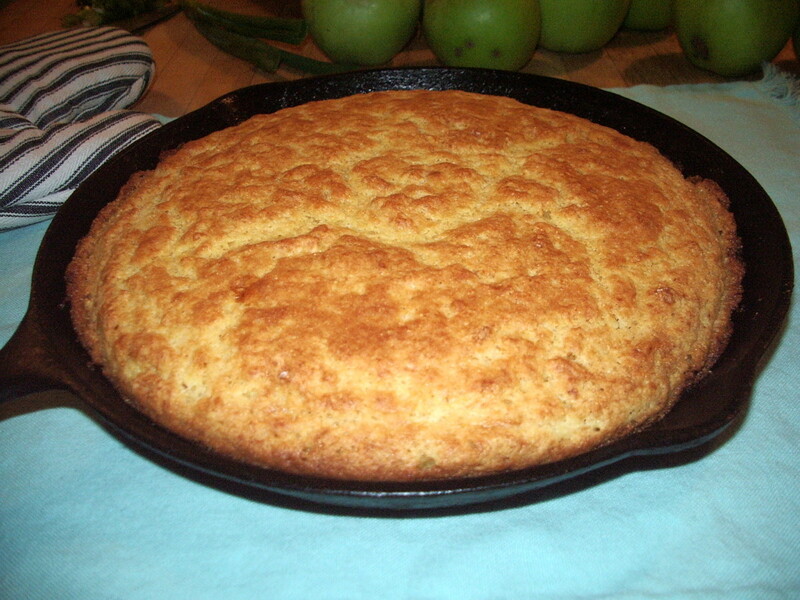 Prepare cornbread according to its package, and let bake for 25 minutes, or until golden brown. When done, take out of oven and let cool. In the meantime, melt 1 stick of butter in a medium-sized saute pan. Add chopped onions and celery. Continue to saute vegetables for 3 minutes. Add rubbed sage and thyme to the sauteed vegetables. Continue to cook for 5 more minutes, or until the onion/celery is soft. Set aside. 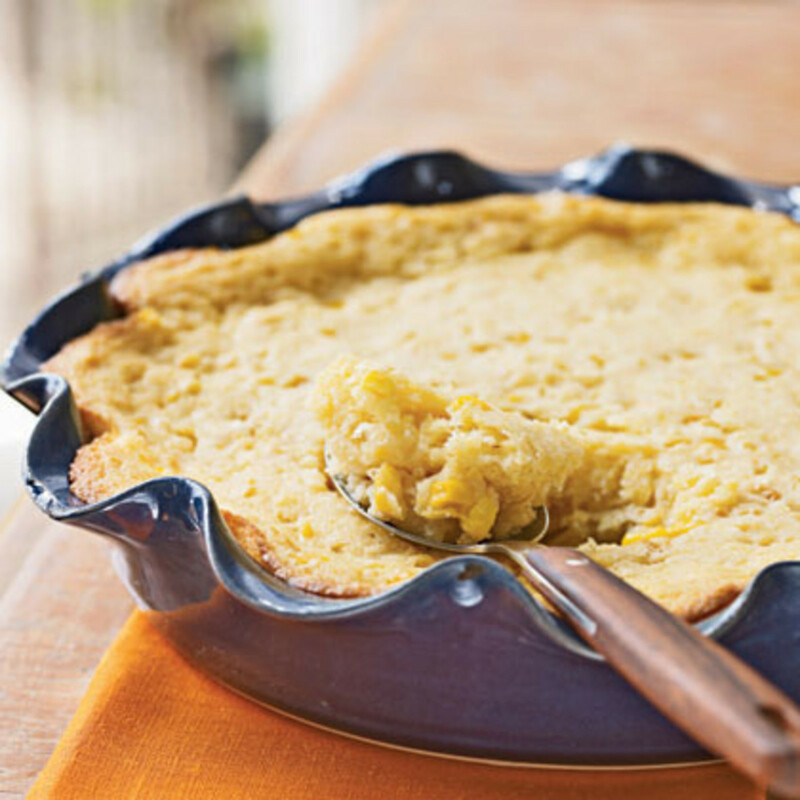 In a large mixing bowl, crumble cornbread into pieces. Add sauteed onion & celery to the crumbled cornbread and mix well. Add parsley flakes to cornbread mixture and mix well. Pour chicken broth into cornbread mixture to soften it. Add salt & pepper for seasoning. Pour cornbread mixture into a glass pan. Let bake at 300 degrees for 20 minutes, or until slightly firm. @bravewarrior- sounds like it is! :) It's interesting to me that people in other regions make their cornbread dressing differently from what I'm used to. I learn something new everyday! :) Thank you for your comment. 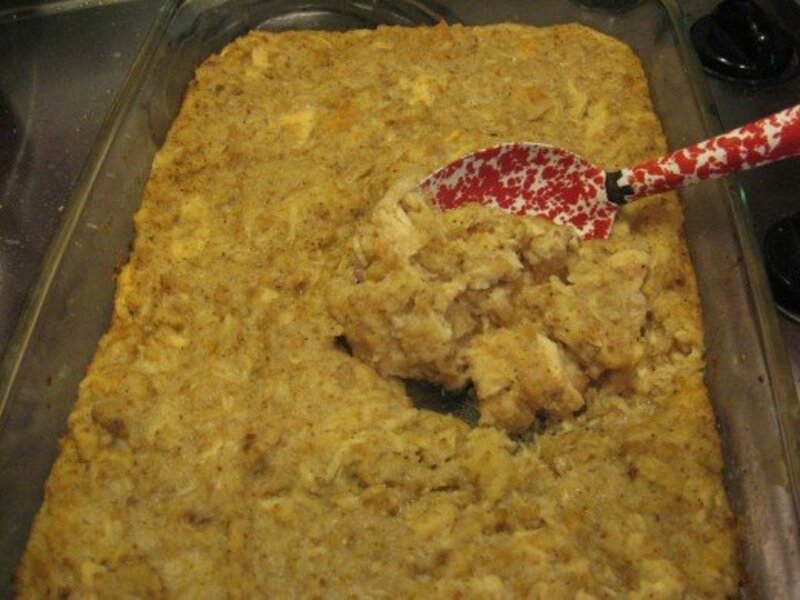 My family makes cornbread dressing also, but we call it cornmeal dressing because we add corn meal directly to the broth. It's a recipe my Missouri born and raised Grandmother came up with and it's the only one I use. It's awesome! Thanks lesliebyars :) You can add as much (or as less) seasonings as you want, according to your taste buds. Sounds like a great dish. I will have to try it out.